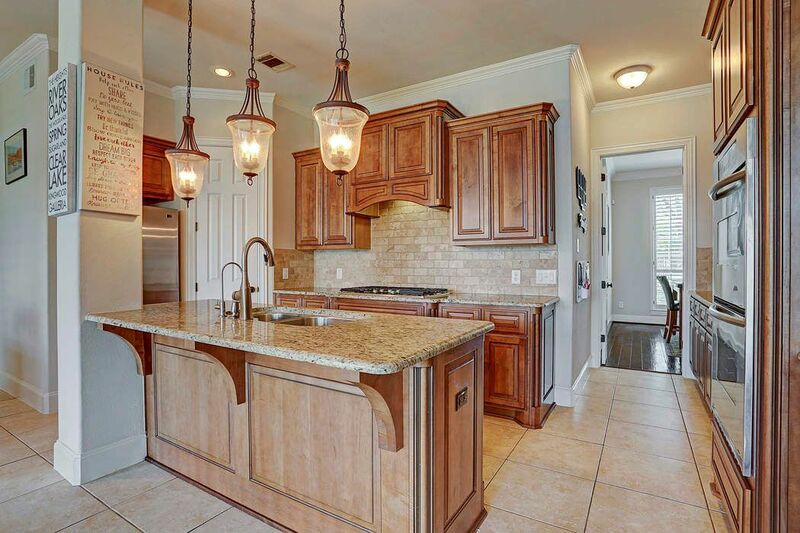 7007 Dunbarton Drive, Sugar Land, TX 77479 | Martha Turner Sotheby's International Realty, Inc.
“Welcome Home!” Beautiful 2 story 3 car garage Highland Home in the popular master plan community of Telfair. 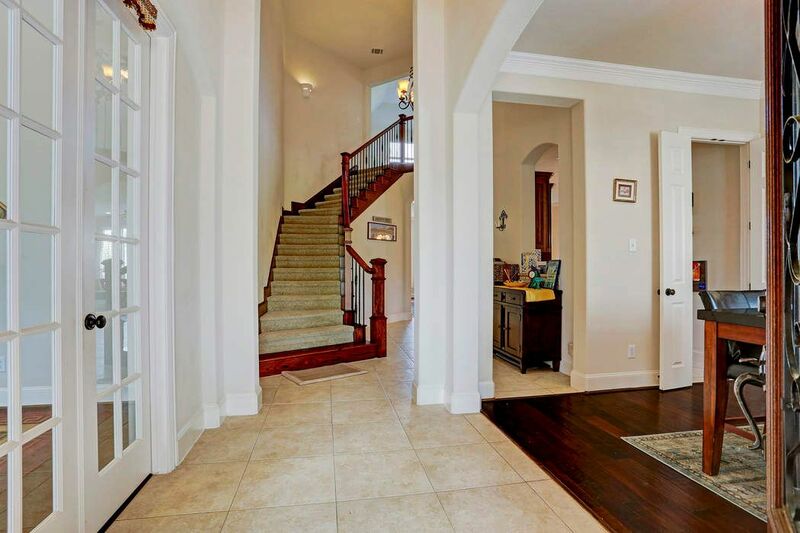 A huge foyer says, "Come In"
First impressions are important! 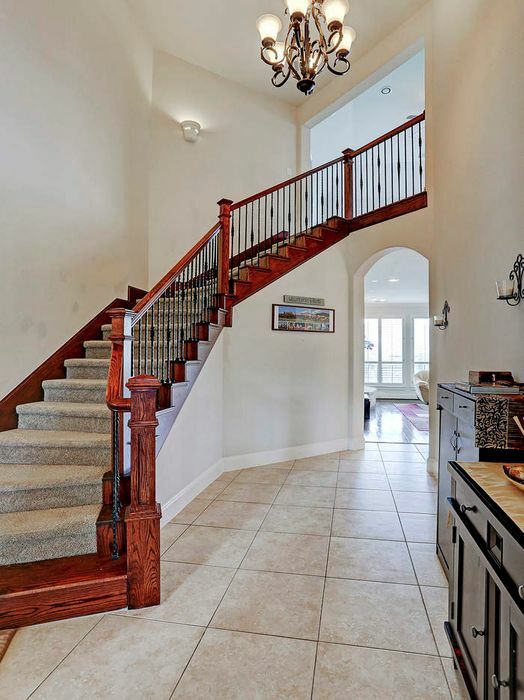 Two story entry with dramatic curved staircase greet your guests. 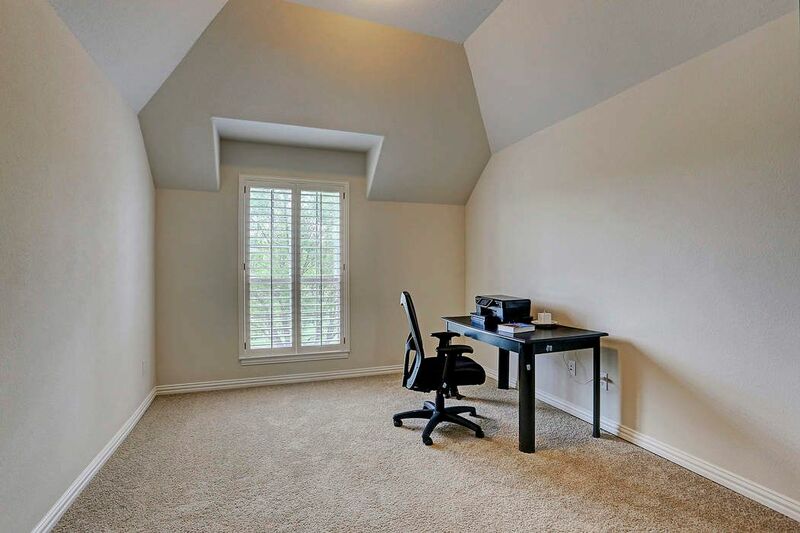 Large study with wood floors, French doors and crown molding! 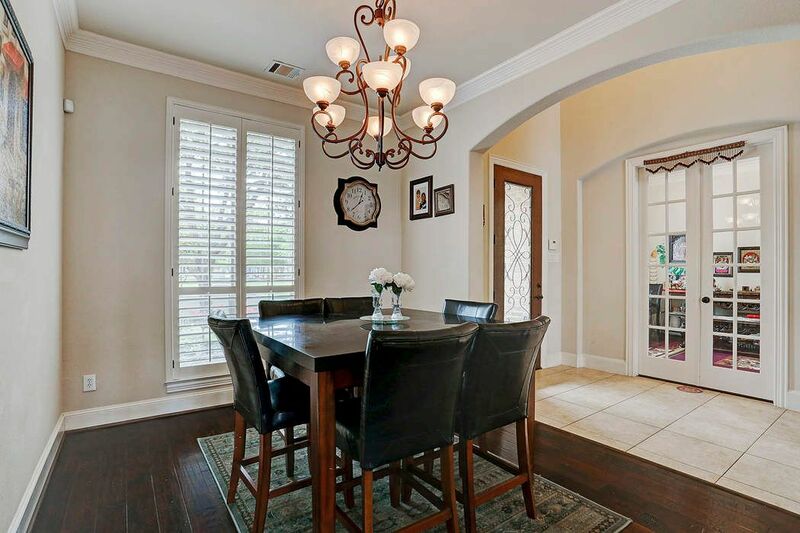 Formal dining room designed for lavish entertaining! 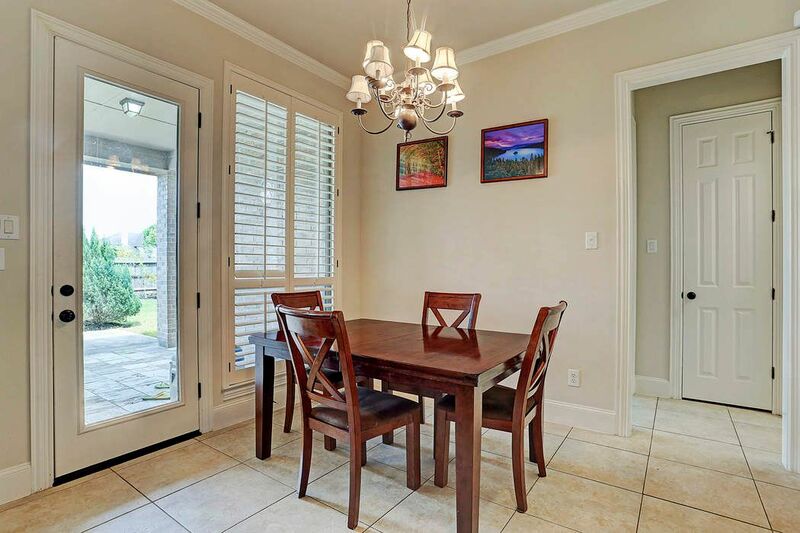 Double crown molding & Plantation shutters add that special touch. Spacious but intimate dining area for two or twenty. 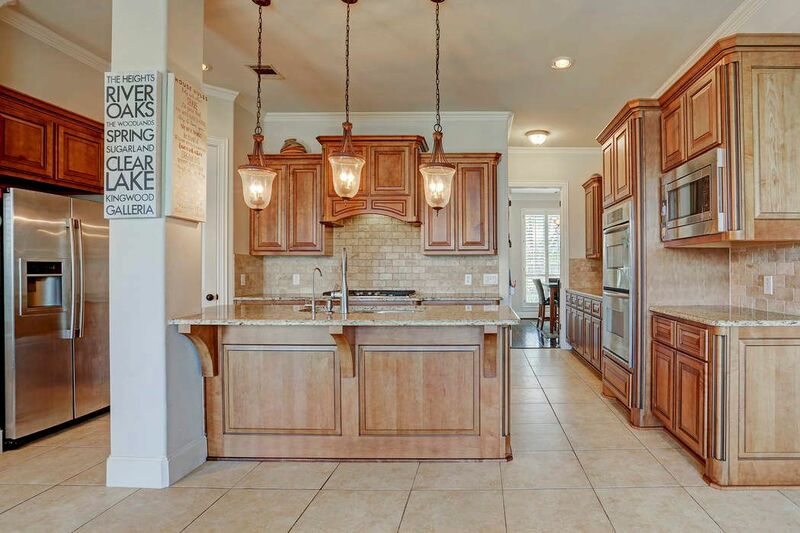 There's no telling what you'll cook up in your dream kitchen. 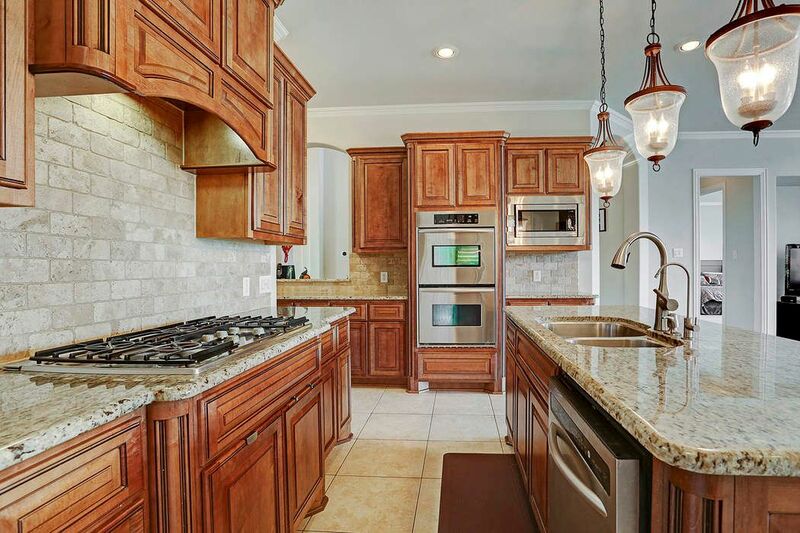 Stainless steel appliances, upgraded granite and tile back-splash. 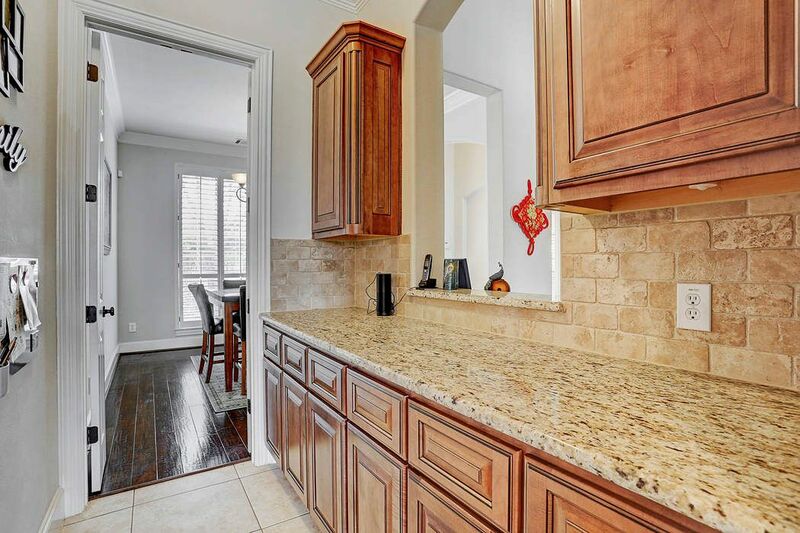 Extra counter space and cabinets in the kitchen. Large breakfast area great for Sunday mornings! 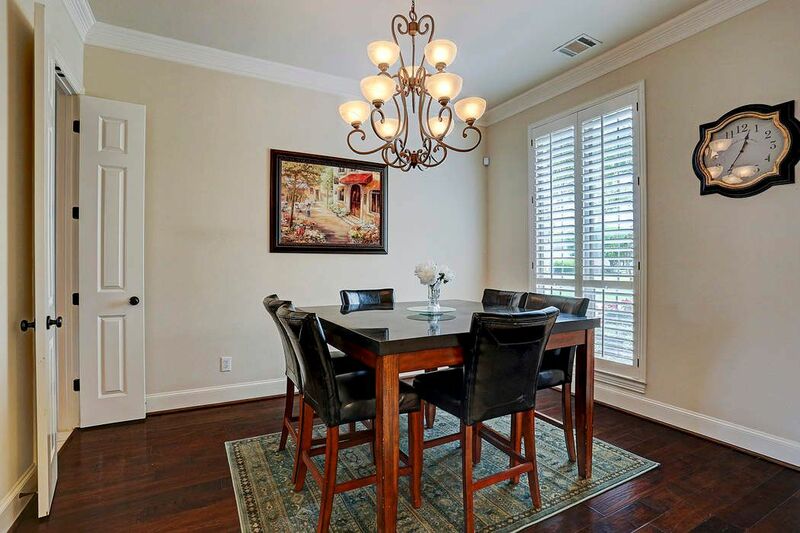 Open dinette close to the kitchen and family room. 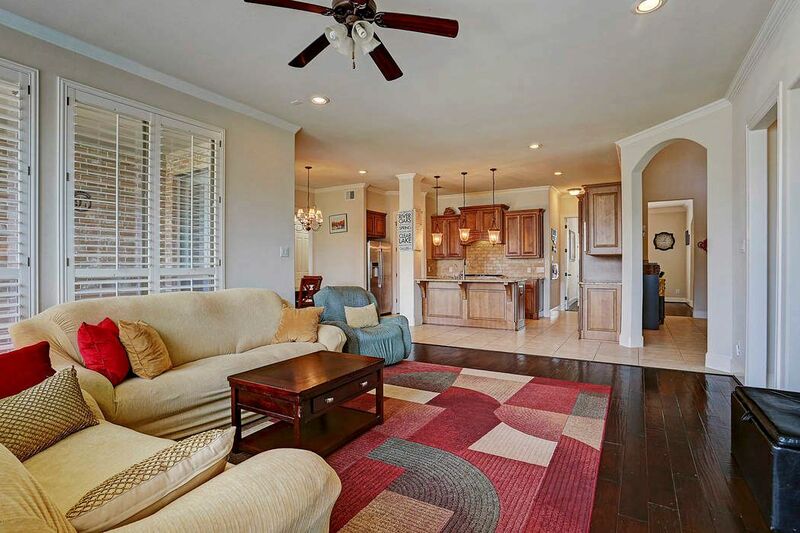 Open flowing floor plan! 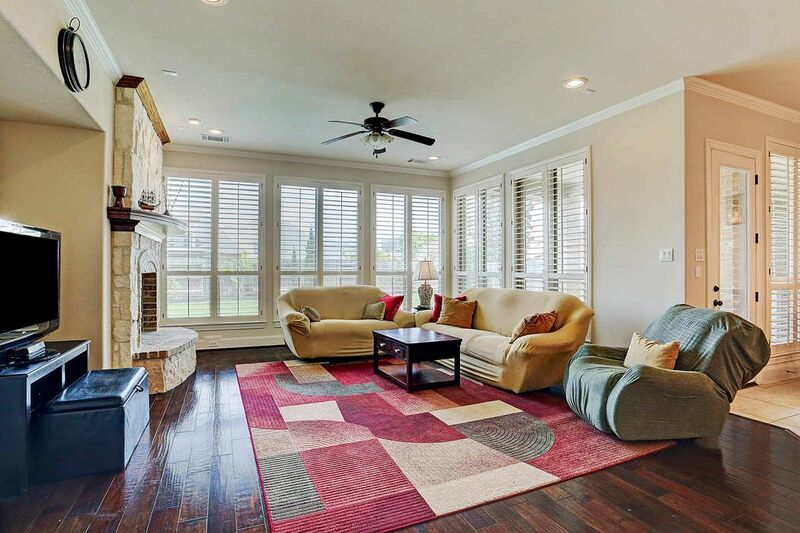 The large family room will be the center of your entertaining! 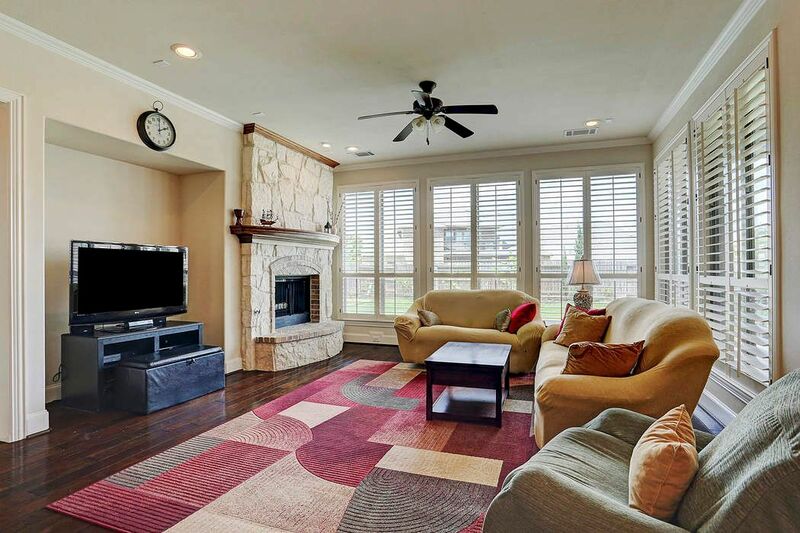 Spacious family room designed for informal gatherings has wall of windows that lets the beauty of the outdoors inside. 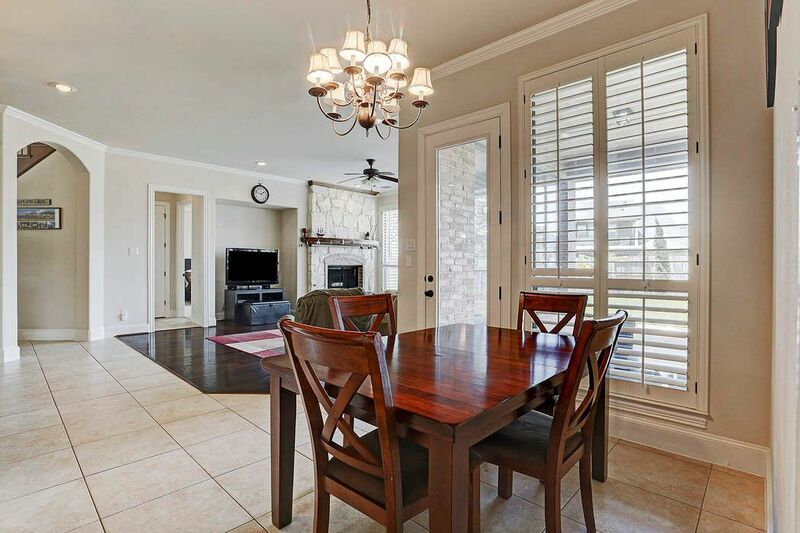 Plantation shutters, stone fireplace and engineered hardwood floors are just a few of the updates this home has to offer. Suite retreat! 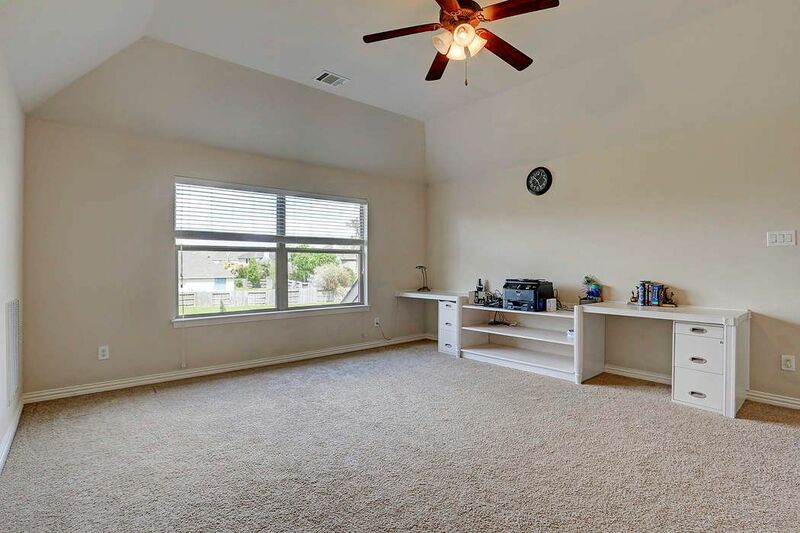 Large master room for your king size furniture! Lots of natural light shining in. A bath to spoil you! 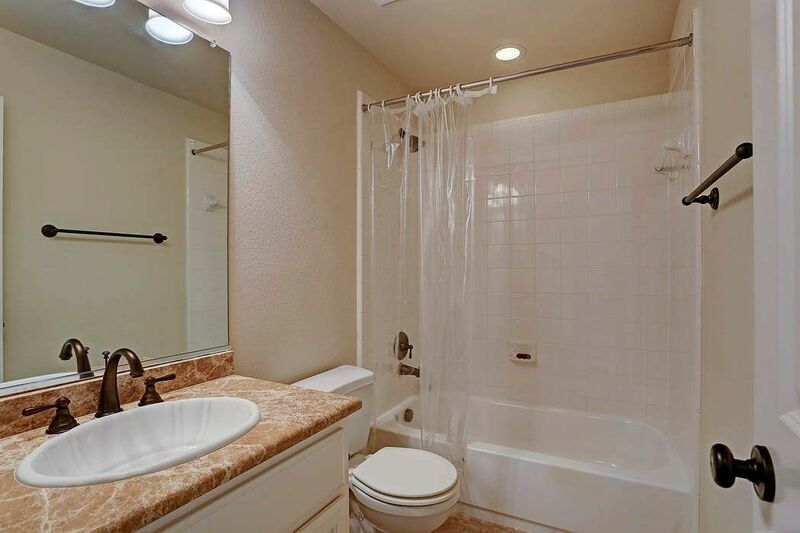 Wash away the stress of the day in this separate shower and rejoin the world on your terms. Second bedroom on first floor with full bath. Huge secondary bedrooms that make sleep easy. 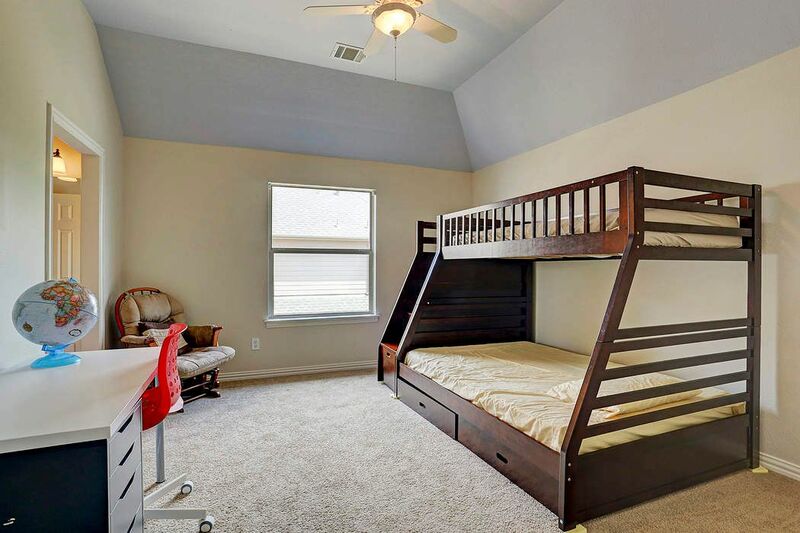 Retreat...Plenty of room for play and sleep. 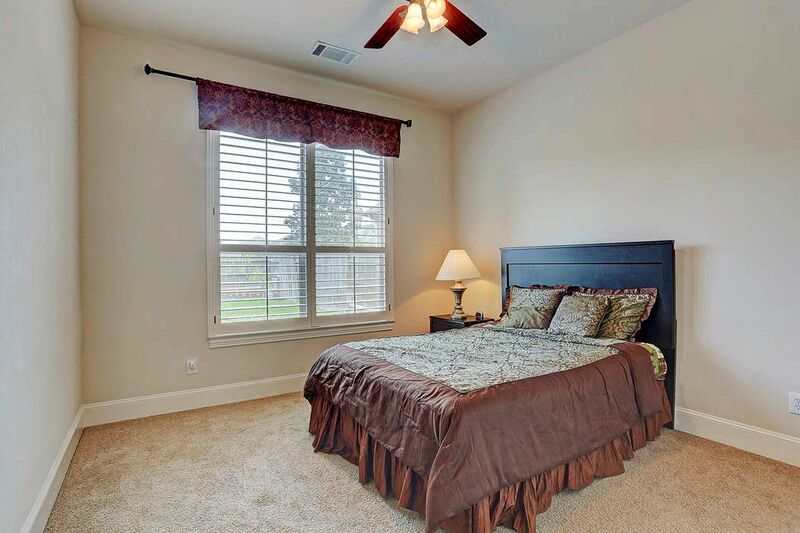 Large secondary bedrooms will give you plenty of extra room for additional uses. Freedom from the early morning squeeze is guaranteed by the 4 full baths! Media room...Saturday night at the movies and you don't even have to leave home! Home theater equipment stay with home. 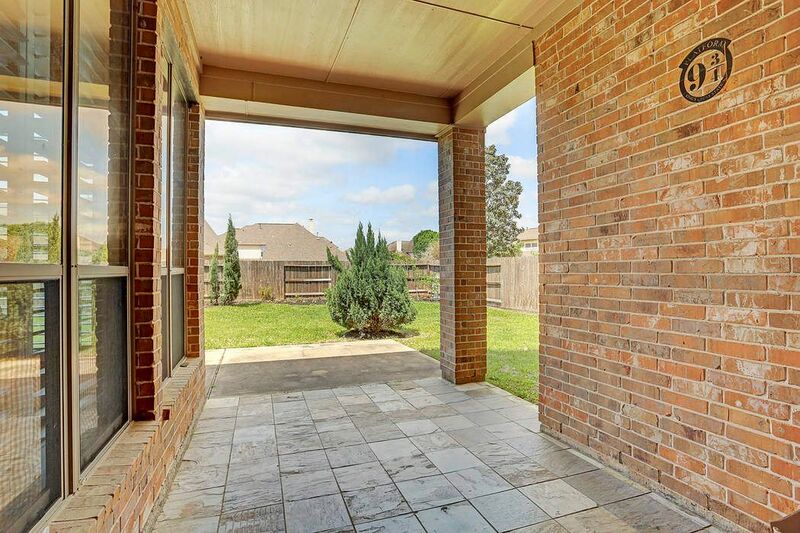 Enjoy summer evenings relaxing on your large covered patio. 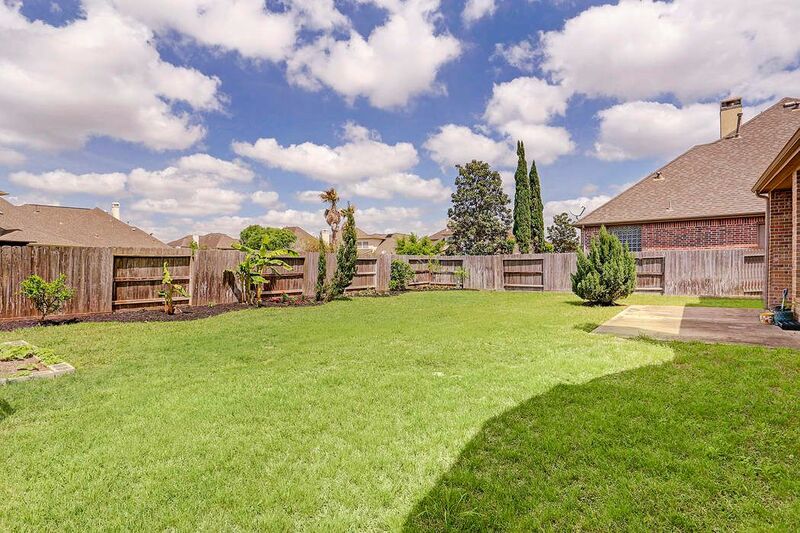 Rest assured…in the quiet seclusion of your beautiful backyard! 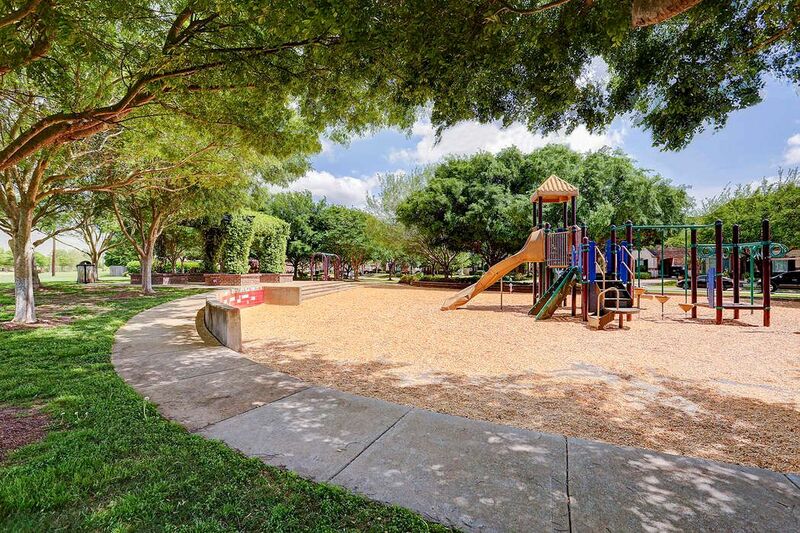 Right across the street is a beautiful park with a fully equipped playground for the kids. 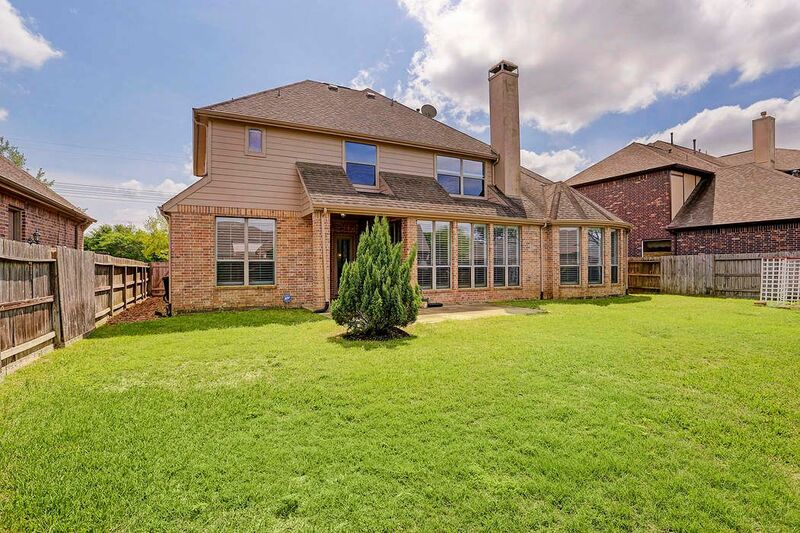 $559,900 5 Bedrooms4 Full / 1 Partial Baths3,946 sq. ft. 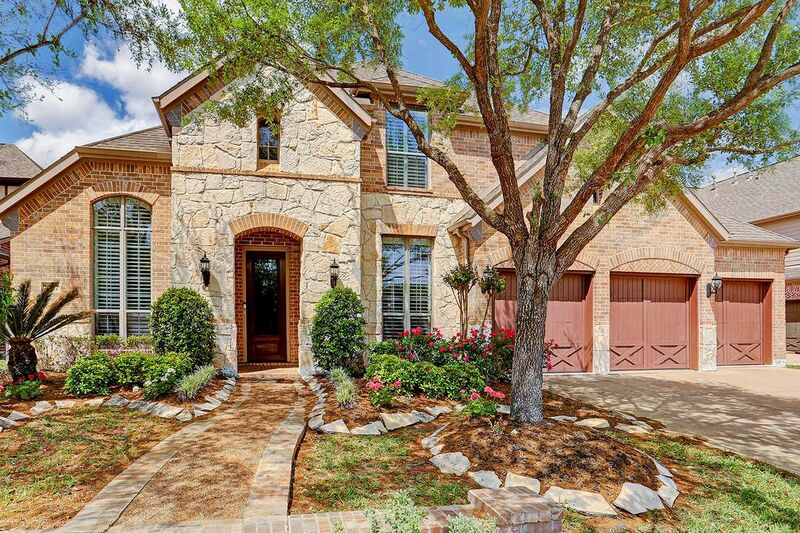 Stunning 5-bedroom Highland Home with beautiful stone elevation. 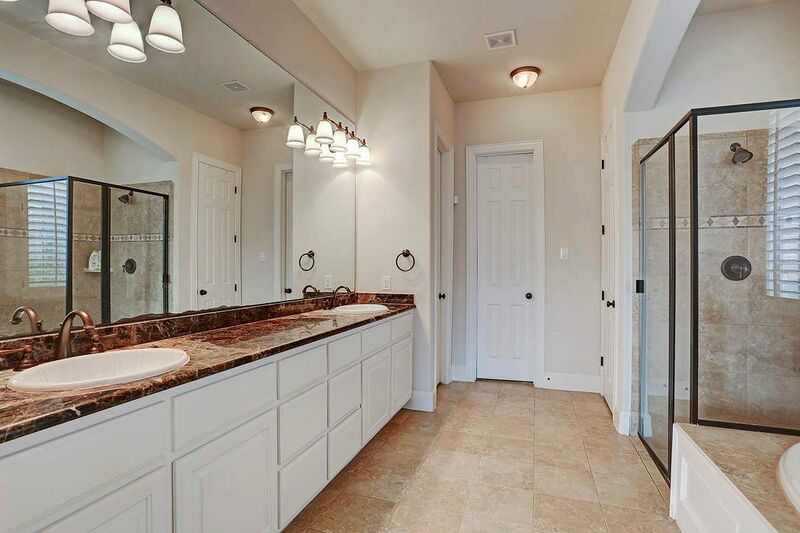 Once you walk into this beautiful home and notice all of the upgrades you will fall in love. 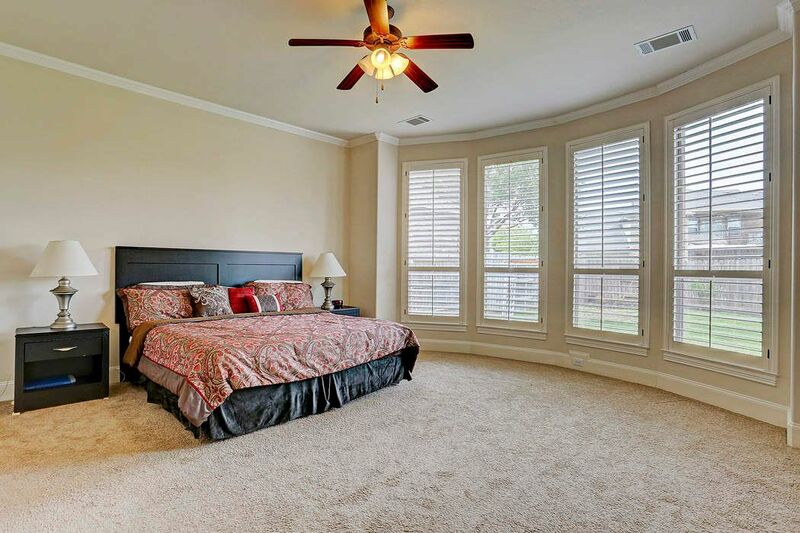 Engineered hardwood floors in study, dining and family room, Plantation shutter throughout the first floor, lovely gas stone fireplace in family room, Master plus a second bedroom with bath on 1st floor. 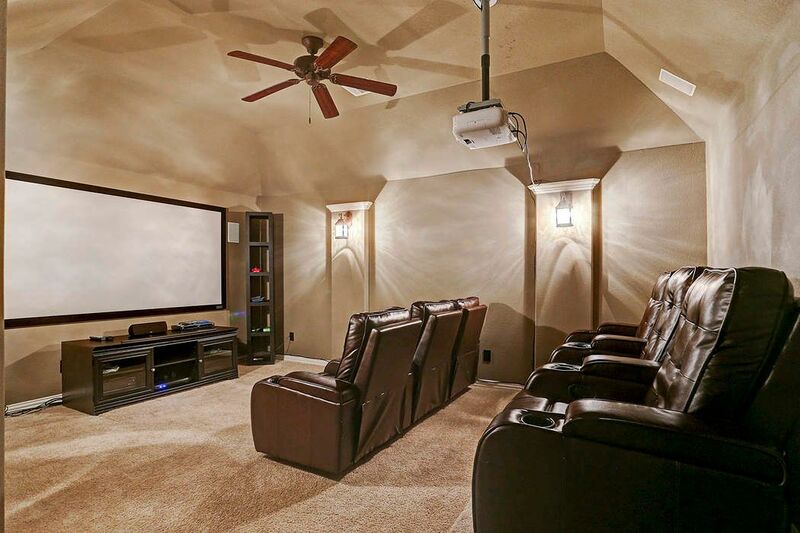 Not only does it have a large game room for your family entertainment there is a media room equipped with the full home theater package! Large 3 car garage with epoxy flooring will certainly be the husbands favorite spot! Huge backyard with covered patio and fruit trees. 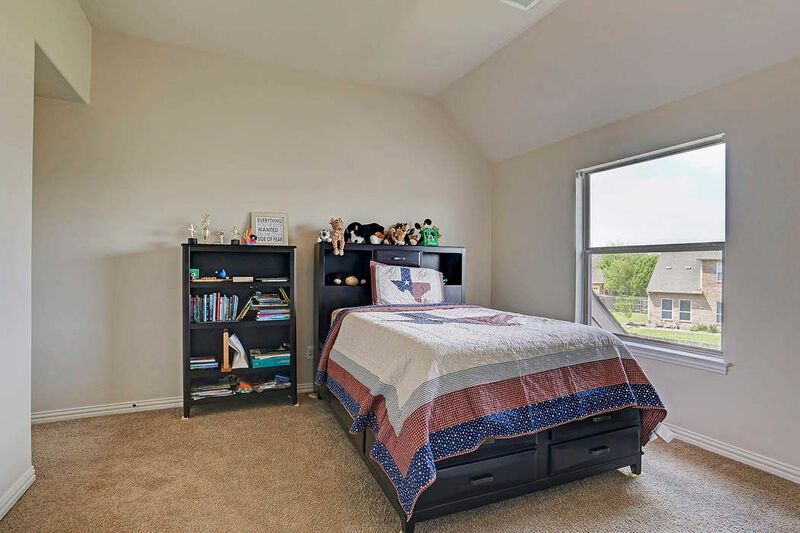 Loation,Location,Loccation…directly across the street from a lovely park with play equipment for the kids plus easy access to 69 and Sugarland! Zoned to award winning schools! 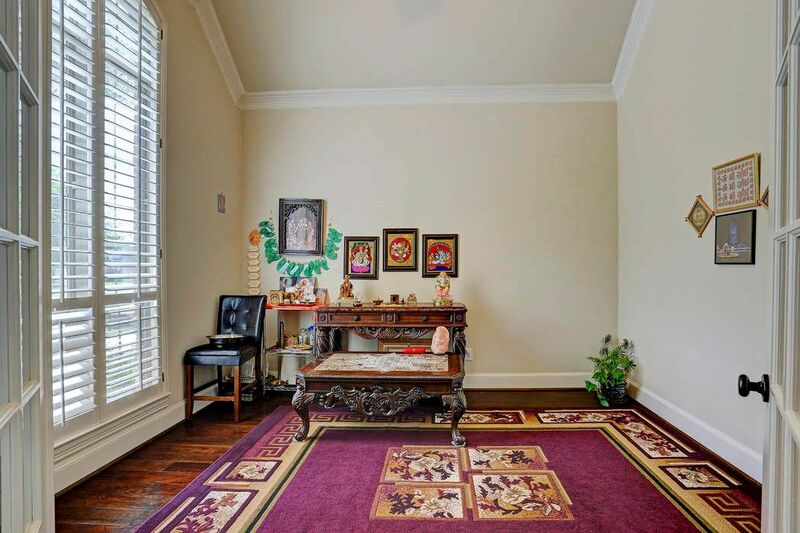 Look no more set your appointment to view today!